Affectionately known as ‘The Old Lady of the Sea’, MS Lofoten will waft you effortlessly to some of the most awe-inspiring sights – in classic cruising style. Lovingly restored to reflect the hedonistic days of the 1960s, the Old Lady can still hitch up her petticoats and run with the best. In fact, she can out-run many of the larger cruise vessels; being small and nimble she can reach the more remote ports, give you closer views of the coastline and sail through channels that more ostentatious ships simply cannot visit. Giving you the chance to visit places and become involved in shore activities that you wouldn’t otherwise experience. 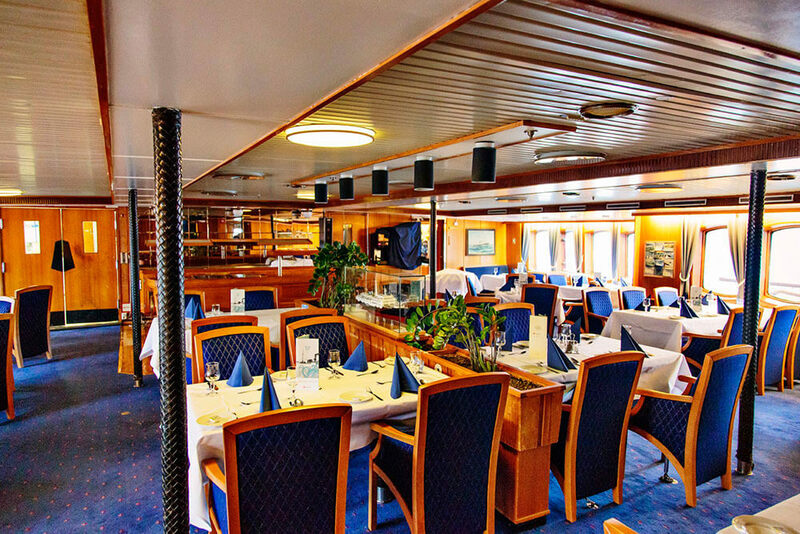 Life on board MS Lofoten also has its own brand of charm. Menus, for example, have a definite, grand hotel flavour with world class food served on silver platters. 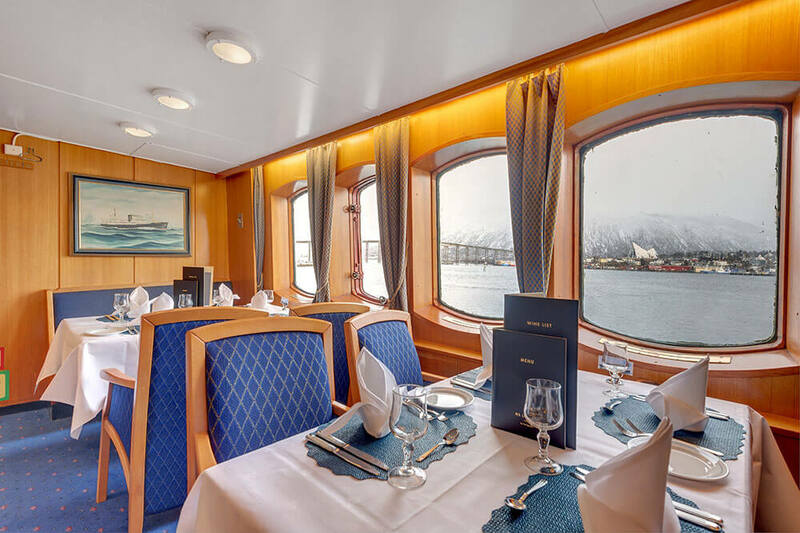 The sun decks and separate panorama lounge exemplify the ship’s style. 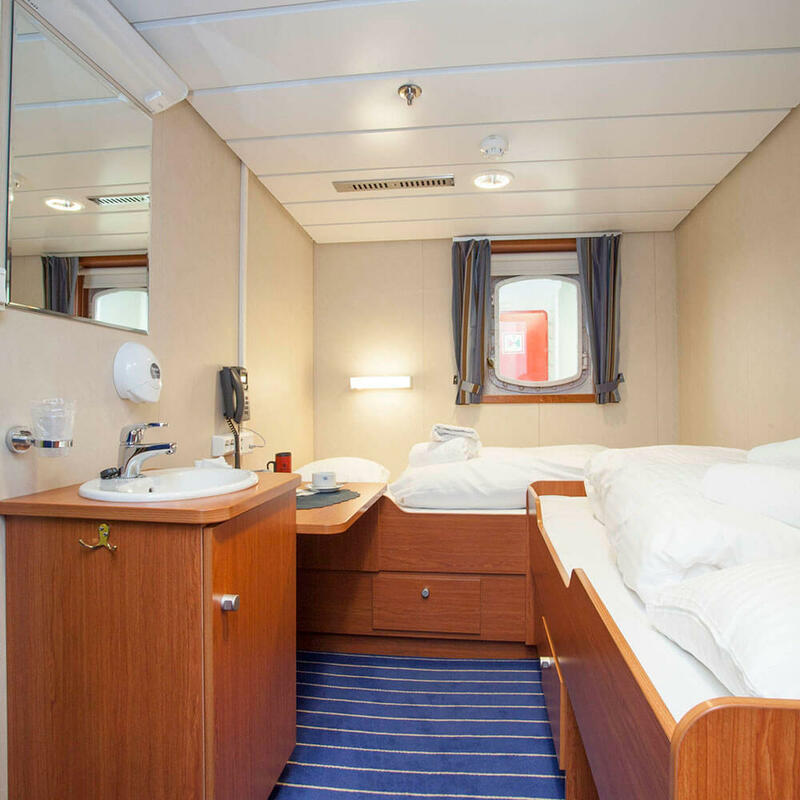 The cabins are deceptively simple, yet they have everything you need for complete comfort – including clever design that conspires to present you with the impression of spaciousness. 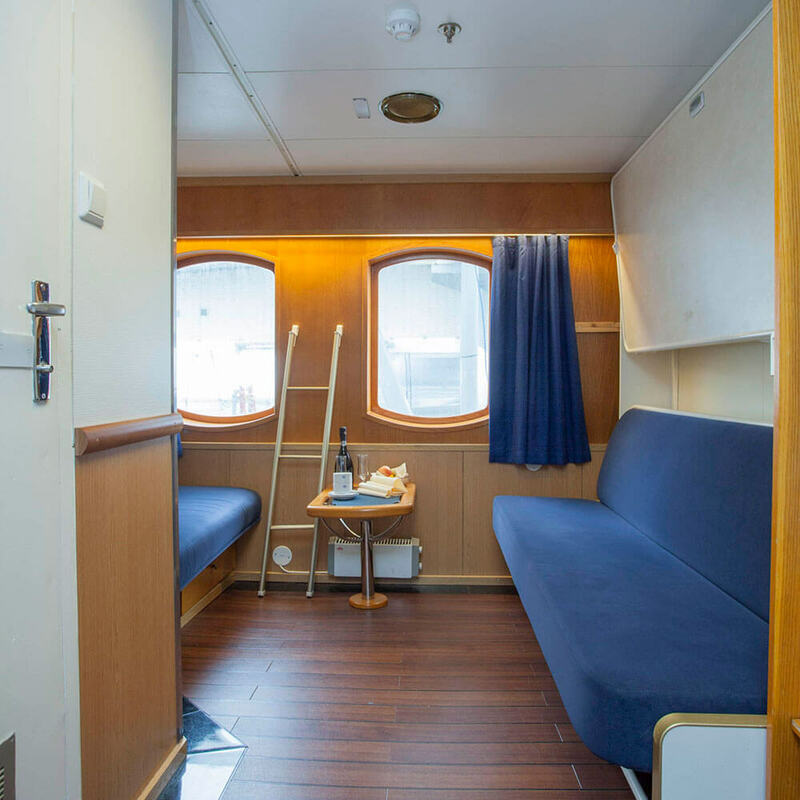 The bow and aft lounges give you ample opportunity to socialise and exchange stories with your fellow passengers – but since there is a maximum of only 400 passengers on any Lofoten voyage you never have the feeling of being crowded, or in a race for a place. The Old Lady certainly knows how to cruise in style. Where will MS Lofoten take you? 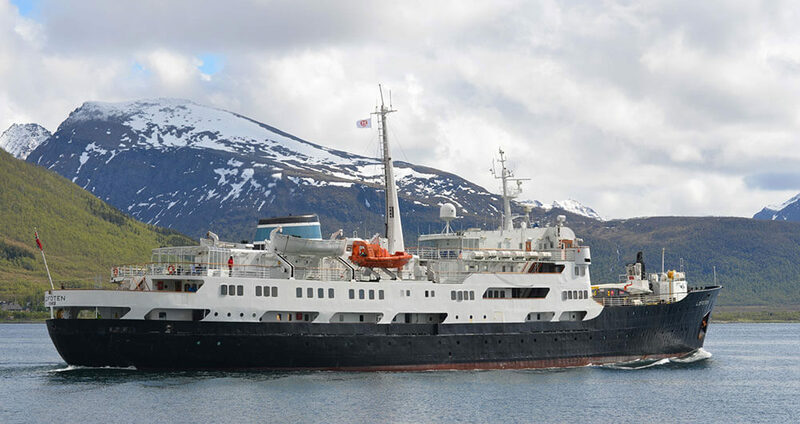 Choice of excursions (depending on cruise chosen): RIB safaris and expeditions to Runde Island, Geiranger panorama, Alesund’s Art Nouveau, Atlanterhavsparken Aquarium and Mount Aksla, Trondheim sights, Trøndelag Folk Museum, Svartisen Glacier, Lofotr Viking feast, Tromsø, Lapland, North Cape, Russian border and many more. Speak to one of our consultants for more information. We would like to thank your team for all the wonderful journeys we have had in the past. Anything organised by Ultimate Travel has worked like clockwork.